Whew! Those 2760 EXTRA steps tuckered me out! Twenty-two is a beautiful — literally “heartfelt “– number and not just because it alliterates. Twenty-two represents the additional minutes dog-owning oldsters walked per day relative to their non-dog-owning peers according to an NPR-cited study published ten days ago in the journal BMC Public Health. Those twenty-two minutes translate to a whopping 2760 additional steps per day [10,030 for DOs versus 7269 NDOs]. Now THAT should paste a smile on any pedometer enthusiast’s face. Even better, these steps registered at moderate intensity. Since virtually all medical experts recommend 150 minutes per week of moderate to vigorous physical activity, the dog-walkers in the study regularly reached the recommended goal. Why is this news? Studies have pointed to a connection for some time. Human Kinetics Journal published a 20-year meta-analysis of 29 studies documenting a correlation between dog ownership and walking. 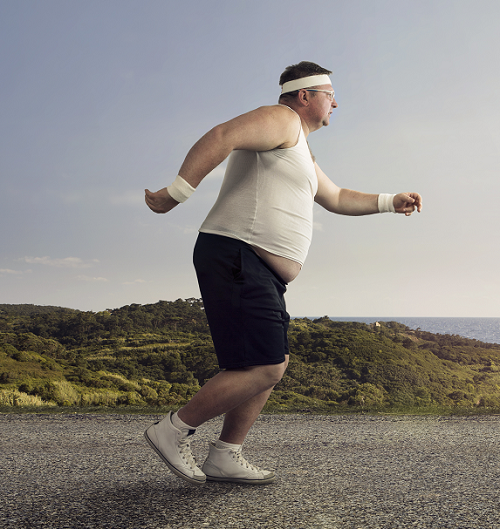 However, these previous studies relied upon self-reported measurements of physical activity. The carefully-controlled BMS study, by contrast, monitored its participants’ activity with highly accurate Active-PAL monitors for three one-week periods. Does this mean ALL people should get dogs OR that ALL dog owners get the recommended minutes of physical activity at moderate to vigorous intensity? Nope! And nope! Dogs require a lot of work, $$, patience, training, and love. They demand sacrifices. While they’ll return an owner’s love ten-fold, sometimes ownership poses a hurdle too high. On to that second “nope!” The study’s researchers cautioned that even their definitive correlation between dog owning and twenty-two additional minutes of walking comes with caveats. It matters whether one actually walks the dog. It matters whether one is the sole caretaker. 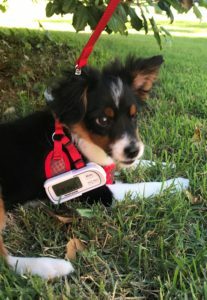 Even the breed and dog temperament may have an effect; tiny teacup poodles and curious dogs that stop and sniff every two feet probably will not add 2,780 walked steps. These and other possible confounding variables need further evaluation according to the study’s authors. Are dog-walking owners home free where their physical activity is concerned? Maybe not. The amount of time one sits plays a significant role in cardiac/vascular health. Dog-owners and non-dog-owners spent approximately the same amount of time sitting. In addition, the number and duration of prolonged sedentary events in both groups were approximately the same. Research shows that prolonged sitting has an adverse effect on health EVEN if one gets daily exercise. As CEO of OneTweak, I chose a pedometer without a computer interface because plugging into the computer can easily trigger the urge to surf the web. Pedometers should trigger the urge to walk, not add to folks’ sitting-down time. Mayo-Clinic researcher, James Levin, a leading “inactivity” expert, has deems excessive sitting a “lethal activity” according to this eye-opening New York Time’s article. Meanwhile, the jury is still out on the perfect sit-stand-move combination for folks in a high-tech universe. Alas, the jury is NOT out on whether I need to get up from my desk. 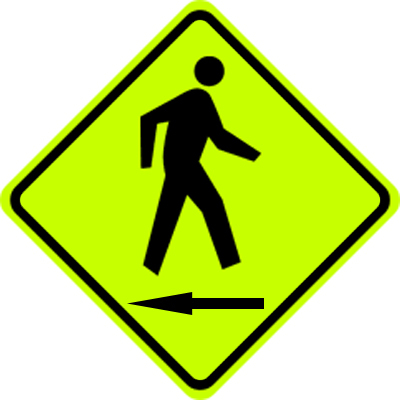 I’ve been SITTING in front of my computer WRITING about WALKING for hours. My back and blood vessels have been angrily yelling at me for too long. Even Bailey implores me. Who is Baily, you may ask? He’s the tri-color on cuteness overload. To be fair, all of Saussie Aussies’ Australian Shepherds’ rock out cuteness but Bailey’s special….cuz he’s mine. So this DOG-OWNER needs to clip on her OneTweak pedometer; this DOG needs to tuck into his halter and leash. And together, WE need to get our walk-on! Sooner rather than later. always delights. Lastly, he took time out of his busy day to touch base with me. human. Oh…I almost forgot…Dave is funny. Really funny. ethics and customer satisfaction to explain what happened next. few times a day should suffice! my home is mostly concrete and then the grass grows around the perimeter. With the mower fueled up, glasses on, ear plugs in, gloves on, check, check, check. make my own story — and all those glorious steps the OT is counting. trees, the birdbath, etc. So there are very few long runs when cutting this yard. pedometer. Look for me in the next Guinness book of records! happened because each time he stopped, he lost steps UNLESS he walked a ninth. straight stretches. Maybe this explained part of the conundrum. Uh-oh! My Tall Texas Tale was purely a tale spun for my mischievous pleasure. My OT works perfectly. I think I got about 1,800 steps doing my yard. I promise not to bug you further, except when I order another unit for my Sis. All the best and much success to you and your team. give his gift to others. I’m still smiling. agreed. And now you know the rest of the story. Yesterday hurt…a lot. The pain started when my personal computer, a lifeline to my world, crashed. After a frantic visit to my geek squad, the problem was diagnosed and resolved with a state of the art HDMI cord. Alas, on the way home from said squad, a car slammed on its brakes sans taillights and my lifeline toppled head over heels from its precarious perch. Thudding sensations chewed the pit of my stomach. After arriving home, further consultation with the aforementioned geek squad ensued. They resuscitated my lifeline. I could hardly believe my luck. Fifteen minutes later, my glee met a swiftly-rolling swivel chair abruptly toppling over a cord left on a hard tile floor. I smashed my occipital region on a hard tile floor. The fall left me overwhelmingly nauseated and frustrated. In short, it hurt…a lot. 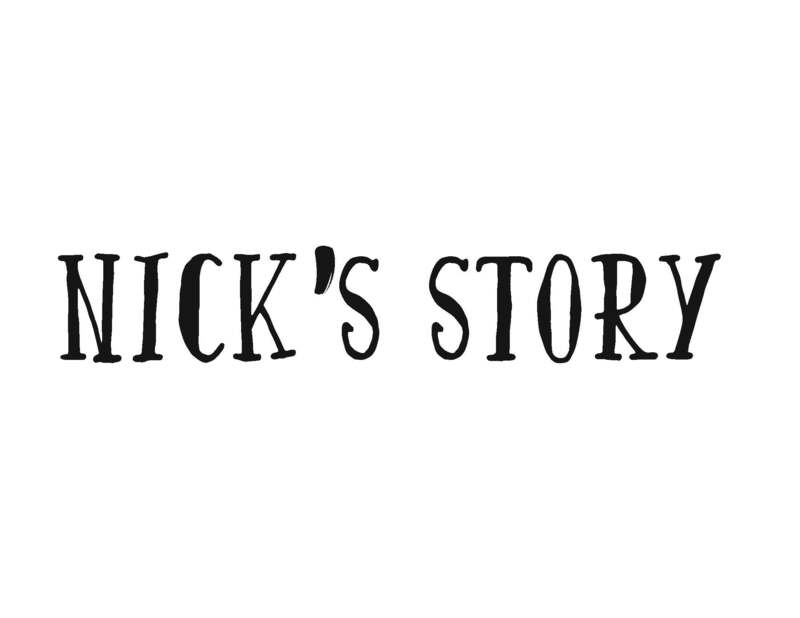 Enter Nick, a One Tweak customer whose email was the first I read after picking myself up off of the floor. I apologize for not getting back to you sooner. It had been a little while since I had checked email. I have received my OneTweak pedometer and it was delivered in a timely manner. As far as the pedometer itself is concerned, I love it! I love how simple and easy to use it is! I had been debating between getting a wrist mounted one (similar to a FitBit) and decided that was a little too complex for me. I have been wearing it every day at work, something I have not done in almost 12 years (when I was a night security guard and walked 12 miles a night). It has become part of my uniform now! I have not been able to wear it when I go walking on the local trail yet, it has been too cold. I would like to thank you for reaching out to your customers and also for making a simple, yet fantastic pedometer. I am extremely happy I purchased the OneTweak pedometer! Again, thank you for your time and an amazing product. Just WOW! I have an admission to make. Your email truly affected me–in good way, of course–because it was so genuine and unabashed. In a world awash in cynicism, your delight struck me as singularly delightful. It also reminds me to be a better customer…a better person, even. Thank you for the gift of a smile. Congrats to you for being such a veteran walker. There is ample evidence that walking confers feelings of well-being along with phenomenal health benefits. If you’ve read my story on our website (Share Your Story segment), you’ll see my first-hand account of how walking changed my life. Methinks you know all about it! Twelve miles a day rates way up in impressive territory. Thanks so much for your feedback and for choosing OneTweak! 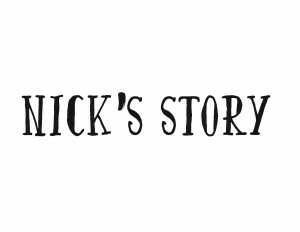 Today, I received the gift of Nick’s story. It made me forget about the pain in my head while it put a smile in my heart. Simple kindnesses can do that. Thank you for the nice reply! 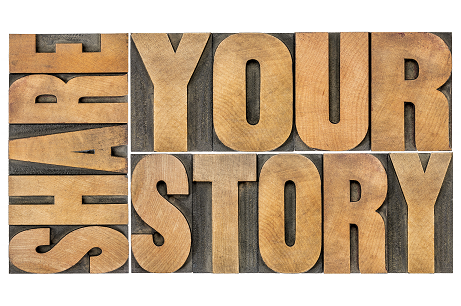 You have inspired me to share my story, something I rarely do! If you would like to use it on your website or blog, please do so. I don’t think it is terribly exciting, but it is my story. I grew up in a small town, we walked every where! I would walk to school, work, to my friends’ houses, etc. This was a habit I carried on in to my teenage and young adult years. Towards the end of high school, I took a job as a park ranger. Walking played an almost daily role in my job duties. I was employed seasonally at one park, took some time off and then went to another park closer to home. I would even walk to work. I continued working as a ranger almost my entire way through college. However, my inactivity during my off months combined with a college diet began to take it’s toll. I ended up at the heaviest I had ever been, I was well over 200 lbs and I am about 5’9″. After college I took a job as a night security guard at a local zoo, this was my first experience with pedometers. I was curious how much I walked on my nightly rounds, I found out a basic (no extra duties) was 12 miles! The weight melted off me! I left that job to broaden my horizons, and became employed as a restoration tech for a company that dealt mainly in fire and water damage. While it was physical, I still missed walking. After a difference of opinions I was forced to leave. It was at this time that I found my current employer. I started as a driver/messenger for an armored car company, and did I love it! Lifting and walking, why join a gym. After almost four years I was promoted to Assistant Manager of a department (now I drive a desk). After a few doctor’s visits and discussions about trying to have a baby with my wife, I noticed old habits were catching up to me. That and my blood pressure was rising. I decided to make a change. I started eating better and decided to start walking again. Jogging has always bothered me due to an old sports injury. It was at this time I decided to get another pedometer, I considered something fancy/flashy but missed my old simple one from the zoo. After finding OneTweak, I decided that was right for me. I now wear my pedometer as part of my daily uniform. I am even known to pace around our dispatch center (my office). I have to get my steps in! I apologize for the lengthy email, but I wanted to share my story.